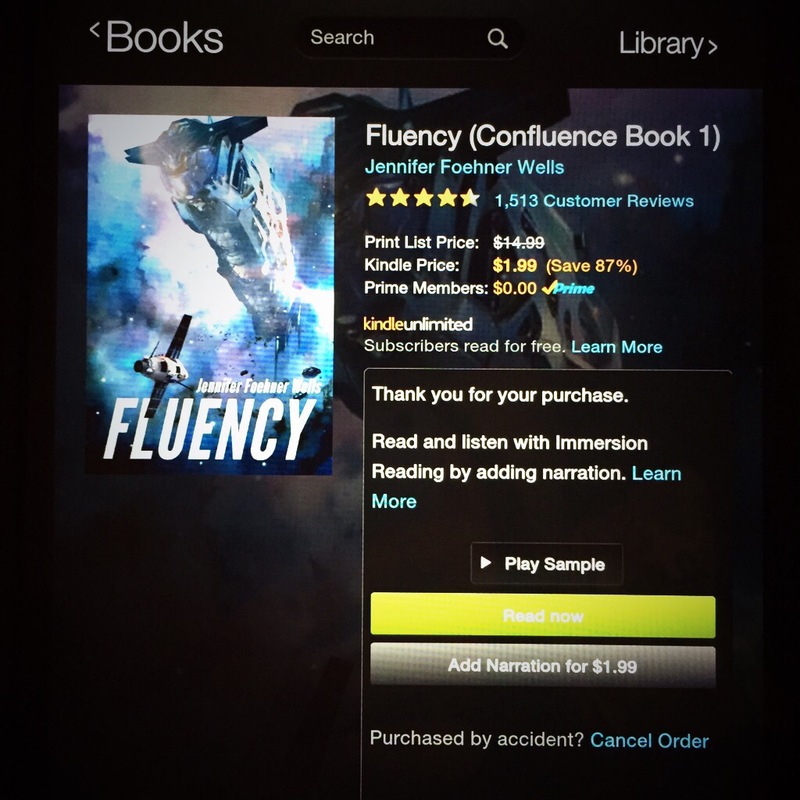 Having just finished reading Fluency by Jennifer Foehner Wells I am left with one question: When will the next book be published? This SciFi book is a page turner that is peopled with such vibrant and lifelike characters that you find yourself drawn into the story right from the start and held into it until the end. Fluency is full of adventure, excitement, mystery, and revelations that are blended together in such an engaging style. The author teaches us something about humanity while introducing us to a broad galaxy! Here is an author worth following. Read this book and you’ll be eagerly anticipating the next book just as I am! This entry was posted in Book Reviews and tagged book, bookreview, FirstContact, Fluency, JenniferFoehnerWells, scifi, WhatImReading on December 2, 2014 by redstarreviews.